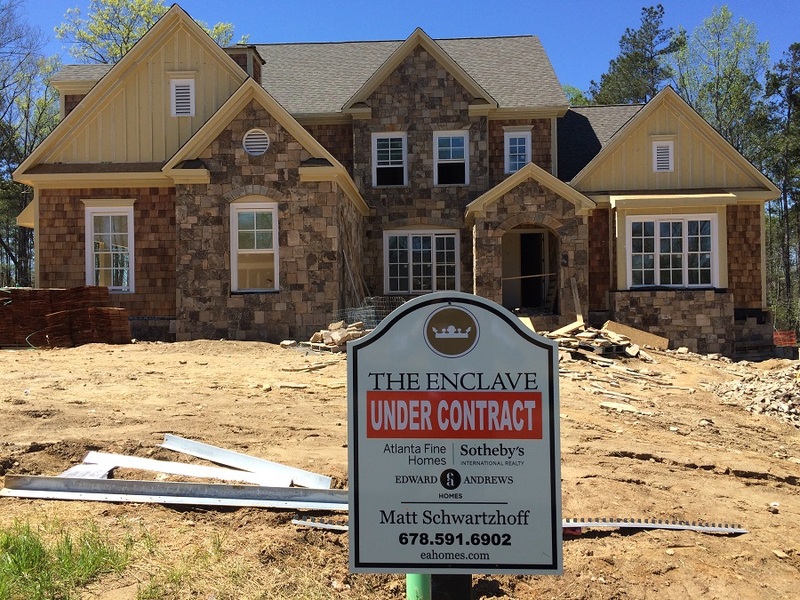 Atlanta’s busy spring real estate market is just around the corner, and with builder inventory still very tight, now is a good time to review a few tips on home to get the best price on a new construction home. Having spent close to five years working for national, regional, and local builders throughout Atlanta, I’ve found there are a few tried and true techniques that will work in almost every situation. So, how can you get the best deal? • Look for completed inventory. Builders will typically start a handful of speculative (or “spec”) homes in a new neighborhood in the hopes that someone will snap them up before they’re completed. However, this requires quite a bit of cash and it can significantly tie up their capital. Once a home is finished, the clock is ticking and every day it sits on the market it costs the builder interest, utilities, and maintenance expenses. Builders are generally much more willing to negotiate on a finished or nearly finished home. • Ask for allowances instead of discounts. Builders don’t like reducing the price of homes in their neighborhoods because this can affect the appraisal value of future homes. And a few discounted homes can make it tricky for them to maintain stable pricing. One of the ways around this is to ask for allowances instead of discounts. Asking for an upgraded lighting allowance of $5000 or hardwoods on the second floor at no cost can be more appealing to a builder, especially since they charge retail pricing for most upgrades – which means that $5000 of upgraded lighting only cost them $2500. • Negotiate for non-price items. As we just mentioned, dropping prices can cause serious problems for the builder down the road. In addition to allowances, you can also ask them to pay your closing costs. While this will cost them more in real terms (compared to allowances) it’s still better for them than lowering the price of the house. • Lot premiums are arbitrary and subjective. In most new home neighborhoods the builder will charge a lot premium in addition to the “base” price of the home. While there’s no question some lots are worth more than others, the premiums are almost entirely subjective. Having developed several lot premium matrices for new neighborhoods, I know this for a fact. While negotiating a lower lot premium will be a little trickier than asking for allowances, you’ll still have more leverage than trying to get a discount off the base. • The best time to buy is at the end of the month and end of the quarter. This might be one of the strongest tactics you can use during negotiations. Just like car dealers, builders have monthly goals and quotas that they need to meet, and sales managers and executives are always more flexible when it’s time to close the books. Still have questions about buying a new construction home? Give us a call! We’ve helped dozens of clients navigate the process of purchasing a new home and would be happy to give you some advice.